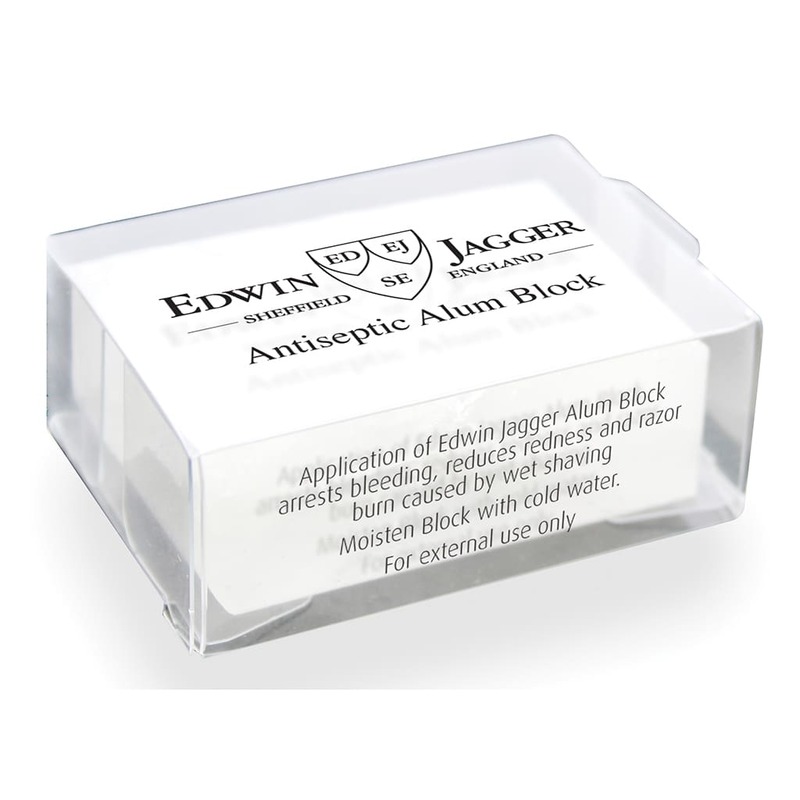 Alum is an antiseptic aftershave By Edwin Jagger. Dampened and rubbed on the face it stops the bleeding on any nicks or cuts, closing the pores and leaving the skin soft and smooth. Ideal for use if you accidentally cut yourself whilst shaving. Owl & Monkey in York, United Kingdom.